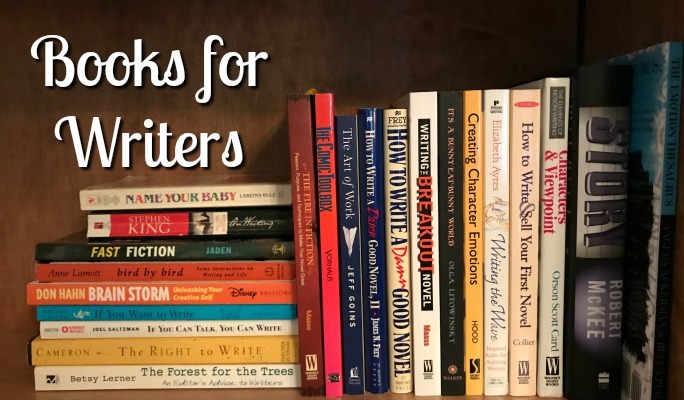 Books for Writers: My Top Ten Favorites! Whenever the topic of favorite books for writers comes up, I always mention the same ones over and over again. But they are timeless must-reads for anyone trying to finish their first manuscript, (or twenty-first,) and for those pursuing publication, either traditionally or through self-publishing. So here I go again with a list of my ten favorite books for writers. Feel free to include your favorites in the comments below and I’ll add them in a new post! Oh and these are not in any particular order of favorites. That would be way too hard! 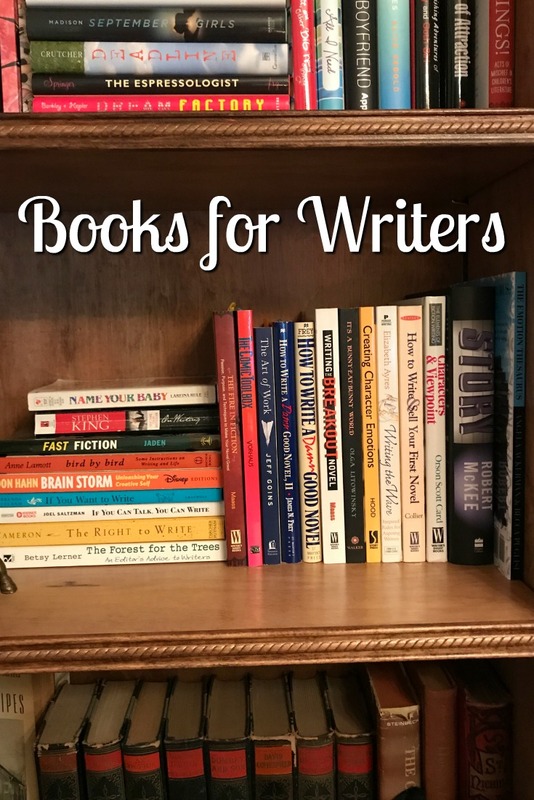 Ten Terrific Books for Writers! Amazon links are affiliate which doesn’t cost you more but does give me a small commission. I have to start with this total gem by James N. Frey because he offers an explanation of theme and premise that I truly understand! Plus it’s jammed packed with so much great advice that I try to reread it once a year. Which reminds me. I’m due! I’ve also recently read How to Write a Damn Good Mystery which was also excellent! Yes, this book written by Blake Snyder is for screenwriters, but story structure is the same regardless whether you’re writing a book or movie. Brilliant novel, one I highly recommend! Another great resource by Blake are the Beat Sheets on his website that break down the plot for many popular movies, really allowing you to study story structure. Even if you don’t write comedy, there is so much you can learn about character development in this amazing book by John Vorhaus! Another I try to read once a year. Which again. I’m due. Of course this classic by Stephen King must be mentioned, seeing as how On Writing is practically listed on every list of best books for writers. My paperback copy is wrinkled and dog-eared from so many reads! 5.) The War of Art: Break Through the Blocks and Win Your Inner Creative Battles by Stephen Pressfield. I’ve heard many mentions of this book throughout the years, but I haven’t read it until recently. Fantastic book. Just fantastic. And it gives all those horrible fears, doubts, and anxieties a name: Resistance. Don’t like resistance? Read this book to find out how to fight it. I also read and enjoyed Turning Pro: Tap Your Power and Create Your Life’s Work which is also great. His Do The Work is also good as a refresher read for slumps. 6.) The Fire in Fiction by Donald Maass. I had a hard time picking which book I like more–Writing the Breakout Novel or this one. I’m going with Fire in Fiction because it’s excellent for those having problems with revision and it offers some awesome, practical tools for characterizations and ways to put some pop in your manuscript. 7.) 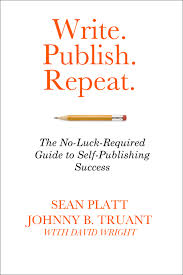 Write, Publish, Repeat: The No-Luck-Required Guide to Self-Publishing Success by Sean Platt and Johnny B. Truant. Those writers who have dipped their toes in indie publishing, (or who will be soon,) are nodding their heads right now when I say that this is the first thing you should read if you’re thinking of self-publishing. And really, there’s some great tips for traditional authors as well. I’ve yet to read Fiction Unboxed: Publishing and Writing a Novel in 30 Days, but that is high on my to-read list! A friend recommending this book as a great tool for those who are tackling NaNoWriMo. I really enjoyed it! Those of you who like to plan and outline a manuscript rather than jumping right in will enjoy it too. Another good one for those wanting to up their daily word count is Write Better, Faster by Monica Leonelle. Yes, Chuck does have a saucy vocabulary, but his 500 tips in this book that is broken down into several sections is absolutely amazing. It’s the kind of book you can read (or re-read) in clumps, without feeling as though you have to go back to the beginning. His website is also jam-packed with great advice and his weekend Flash Fiction challenges are a great way to keep your fingers flying! I truly enjoyed this novel. It’s a quick read and if you’re still struggling with doubt and fear, it’s an excellent follow-up to The War of Art. I’m also looking forward to finally reading The Art of Work, which has been on my nightstand for a couple months now. I have more that are worth mentioning, but I’m cutting it off at ten for now and saving the rest for another post since they deserve their own spotlight. Until then, it’s your turn. QOTD: What are your favorite books for writers or illustrators? Please share them in the comments below!